CC image courtesy of Institute for Money, Technology and Financial Inclusion via Flickr. 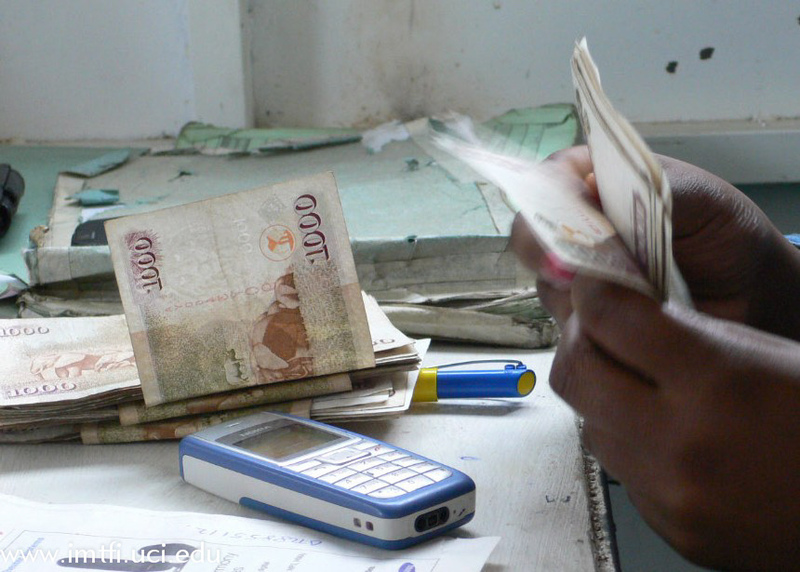 The African finance sector shot into the global limelight with the success of mobile money system M-PESA, which is heralded as proof of the continent’s capacity to lead the world in innovation in the payments space. Since then, the innovation has continued, and today a raft of mobile payments companies are active across the continent. Here Disrupt Africa showcases five of the top African m-finance startups to watch. Where else to start but with Nigeria’s Paga, which recently closed a US$13 million Series B funding round. Founded in 2009, Paga provides Nigerians with safe and convenient ways of making payments, allowing money to be sent to any phone number for the beneficiary to redeem at a Paga agent or at an ATM via a cardless withdrawal. Customers can also use Paga to deposit money to bank accounts in Nigeria, pay their bills, or top-up mobile phone airtime. With the funding raised, the startup intends to expand its agent network significantly, while also continuing to innovate on its payment offerings for small and medium enterprises and consumers. Nigerian-Finnish mobile payments startup IroFit enables small businesses to accept card payments and organise growing operations through a mobile app and an EMV-certified card reader. The startup also provides support for small business management tools such as sales analytics, accounting, inventory management, CRM, loyalty management and payroll support, with the proprietary technology working even in areas with no internet connection. In November last year, the startup secured US$600,000 in seed funding in order to finalise its product and launch in Nigeria; while it also signed a deal with a leading financial institution guaranteeing 100,000 payment devices will be available to the Nigerian market upon launch. South African startup SnapScan allows customers to make payments by scanning an unique quick response (QR) code – or SnapCode – at a point of sale. The user then enters the amount they wish to pay, and confirm using a four-digit PIN code. SnapScan accounts are linked directly to the user’s bank account. The startup has been quick to form partnerships since launching, meaning its payment solution is rapidly permeating all aspects of daily life. In October SnapScan partnered with the City of Cape Town to make its cashless solution available for paying parking charges in the city. The startup also partnered with local mobile-hailed courier service WumDrop to provide an alternative payment option for the service. Most recently, it announced a partnership with PriceCheck to give customers the chance to find and buy products from offline catalogues from their mobile phones. Snapscan has also pushed to roll out new offerings. In April, the startup announced the launch of SnapBeacons, allowing users to make payments using beacons that detect their location. Also a South African startup, Wallettec is a platform provider that specialises in mobile wallet integrations, currently used by cryptocurrencies, retailers, mobile banking institutions and other businesses looking to provide their clients with a better experience in banking and payments. The solution enables any mobile wallet or third party wallet system to interface with a point of sale (PoS), enabling the wallet owner to pay using his wallet account. Through a single integration, retailers can enable consumers to transact at their PoS using only their mobile phones. Kenyan startup Shield Finance rounds off our list. Shield Finance uses proprietary technology and leverages on mobile money to offer underbanked employees affordable salary advances directly to their mobile phones, generating revenue on interest charged on salary advances. The startup has been gaining acclaim recently at a number of competitions. In June it came out on top against five other teams at the DEMO Africa pre-pitch event held in Nairobi, becoming the second startup to book its place at the main event in Lagos, Nigeria in September. In July, it was a winner in the finance category at the PIVOT East mobile startups pitching competition in Nairobi. In August, Disrupt Africa reported Shield Finance raised an undisclosed round of funding from a local angel investor. Nonetheless, the startup is still looking to raise a seed round of US$350,000 for equity, which will be used to hire sales staff and ramp up its technical capacity in readiness to scale.